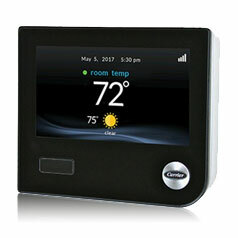 Like any machine an Air Conditioner or Heat Pump will wear out. As its moving parts wear they become less efficient. 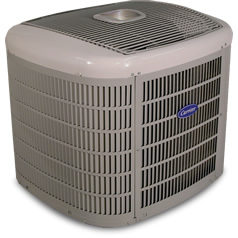 Expect an average Air Conditioner/Heat Pump to lose approximately 2% per year in efficiency. So at the end of ten years a 10 SEER air-conditioner will be consuming more energy like an 8 SEER or 6 SEER air-conditioner. SEER (Seasonal Energy Efficiency Ratio) is kind of like miles per gallon in an automobile, the higher the SEER the lower the cooling cost, or electricity to operate the AC system. In a comparison of SEER versus percentages saved in cooling costs, you may expect — if your system was a 10 SEER when it was new and is 10 to 15 years old today — it could have a SEER rating of 8 SEER or lower. By replacing your existing AC system with a Puron 13 SEER air conditioner, you will reduce your cooling cost up to 38%, a 14 SEER air conditioner up to 42% and a 15 SEER system would reduce operating costs up to 46%. These percentages will vary depending on how you use your system. Puron is R-410A, the new environment-friendly refrigerant that helps in preventing the ozone layer depletion. One thing that must be understood is how SEER is determined. It is done in a laboratory with a matched Evaporator Coil, meaning that if your old Evaporator Coils are not replaced, no one could possibly tell you what SEER your unit will be because it has never been tested with the old Coil. In fact it is highly recommended that when the Condenser or Heat Pump is replaced, that the Coils should be replaced at the same time. This is recommended because the older Coils are more restrictive and could possibly cause higher operating pressures making the Compressor work harder, using more electricity, and shortening the Compressor’s life. By replacing your current system with High Efficiency Heating/Cooling equipment and our experience in duct sealing to control the dust in your home, we feel that the benefit will be a total controlled environment for you and your family, along with reduced Heating/Cooling costs. So please call (817) 461-1854 today for your free in-home estimate. 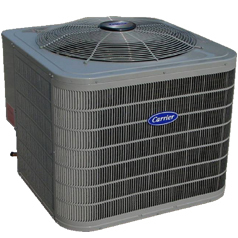 We have a full line of Carrier Heat Pumps, Air Conditioners, Gas Furnaces, and Fan Coils. ©2017 Cornerstone Marketing Solutions. All rights reserved.